It’s not often that you see a restaurant having the Shell Shuan Shim award for Khao Kha Moo (pork knuckles on rice). It’s a dish that is more often associated with basic street stalls that you find all over the city. It’s also a very popular dish, and lovers of pork knuckles shouldn’t wait to test out this dish. Of course I had to sit down when I saw the Shell Shuan Shim award at Mae Tuk, one of the restos just on the border of the Sri Yan market area. 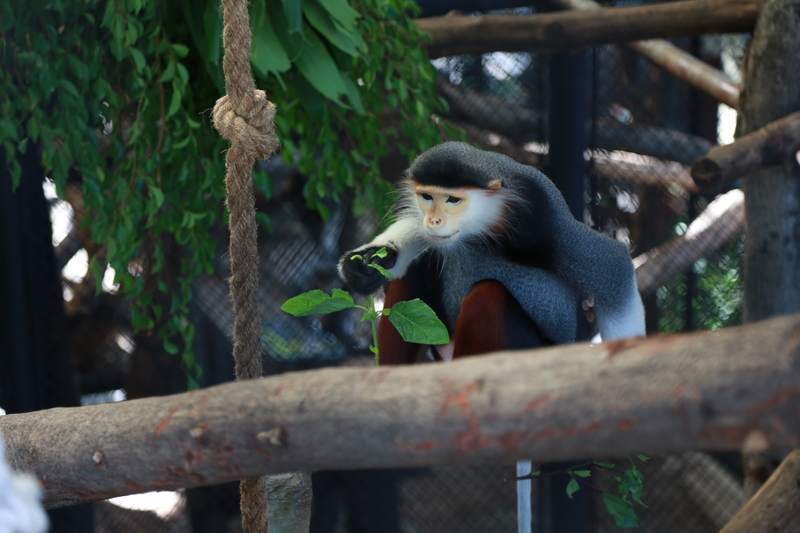 A bonus for animal enthusiasts is the Dusit Zoo just a 10 minutes walk away. The first thing that strikes me was that the open shop house with a covered terrace was very clean and with wooden furnitures that made a good atmosphere. And the Khao Kha Moo was good, well prepared and with tender meat. This time I told them to leave out the dices of blood that some vendors serves the dish with. The rice was perfectly cooked and fragrant, the sauce not too sweet, and the plate came with a good dark soy sauce for dipping, together with some kale leaves. The dish is normally served with a proper portion of tender meat, some pieces of skin with fat that I normally leave out as I try to keep my weight, a couple of blood dices and a hard boiled egg. Mae Tuk is at the ground floor behind the street stall. It’s a very good Khao Kha Moo. I wouldn’t hesitate to sit down for another meal if in the area. 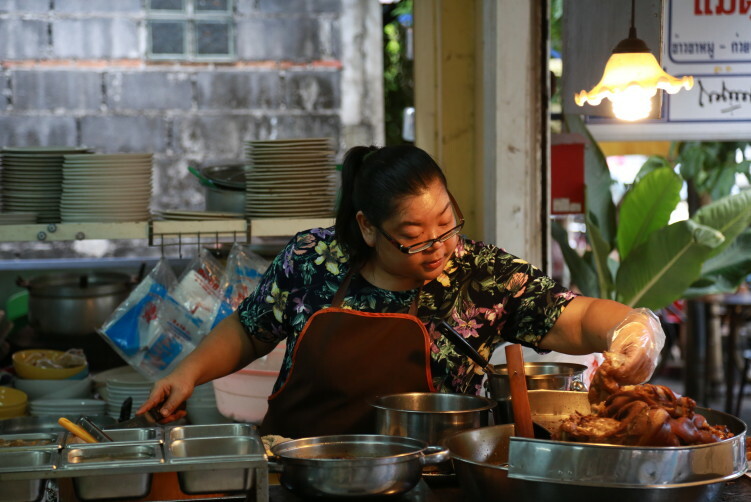 The Sri Yan market, together with the Ratchawat market 15 minutes walk away along Nakhorn Chaisi road is worth exploring for anybody in the neighborhood. It’s still one of those areas where you can explore local markets and city life as most of Bangkok used to be a few decades ago. 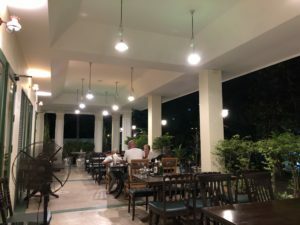 I have stayed 2 weeks in the Sri Yan area to eat my way through the stretch of restaurants and stalls along the Nakhon Chaisi Road and I will follow up with several reviews in the coming weeks. Normally I don’t recommend hotels, but as this area (with few good hotel options) is a taxi trip away from the BTS and also is an authentic local Thai comunity quite different from the down town business area, I will do an exception. The UMA Residence is both a very good hotel and very reasonable priced. How to get there: BTS to Victory Monument and a 15 minutes taxi drive from there. Or you come the waterway. Payap pier takes you directly to Sri Yan market in Dusit district. The pier is a short 5 minutes walk away, just follow the Nakhon Chaisi road from the pier. 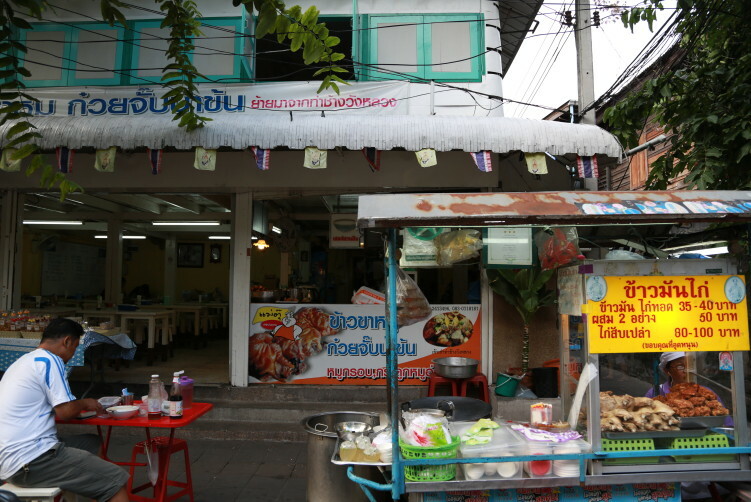 The resto is on the other side of the road from the market entrance. 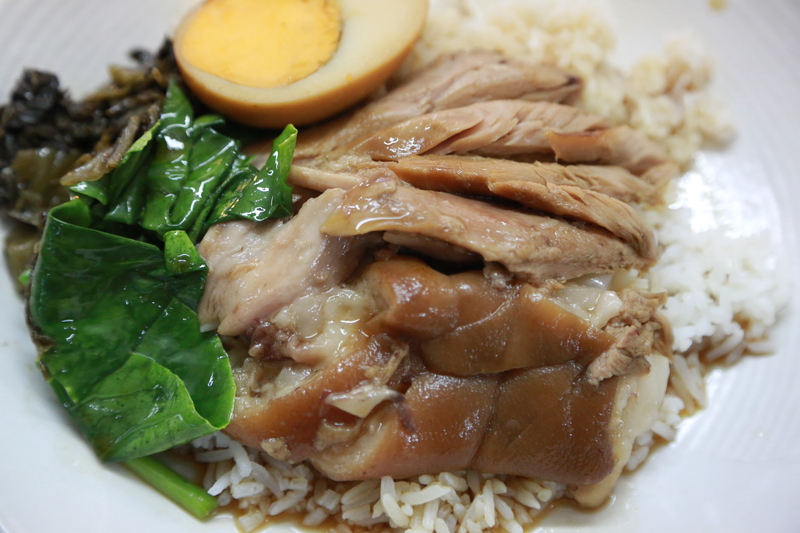 It's not often that you see a restaurant having the Shell Shuan Shim award for Khao Kha Moo (pork knuckles on rice). Dusit Zoo, or ‘Khao Din’, is a fully-function animal park. That implies facilities such as a zoo museum, and educational centre, a sightseeing train, an animal hospital, together with different activities. It houses some 1,600 domestic and international animals, including albino barking deer and white Bengal tigers. The zoo covers a total area of 188,800 sqm and has been around for more than 60 years. You find it in the midst of Bangkok’s administrative centre, surrounded by important landmarks such as The Ananta Samakhom Throne Hall, the Parliament and Chitralada Palace (King Rama IX’s official residence).